< ! [CDATA[Poor Ryan and poor daddy & mommy! Throat infection very torturing to little kid, jo was kena before..that’s why i know the feeling. < ! [CDATA[Yeap, the most important thing is to keep reduce the fever temp. It really break our hearts to see our little one falls ill.
< ! [CDATA[hope baby ryan is feeling better. Hugs! < ! [CDATA[Poor boy. Must pat-pat the FEI MUI. < ! 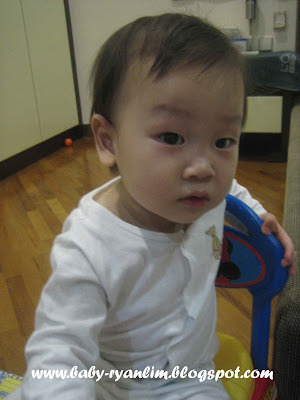 [CDATA[Yea, my son also kena before. So i know the feeling... i even panic coz the temp didn't go down. we found later on all becoz of the neighbor's child at auntie's house. < ! [CDATA[How come so many baby get sick these days. Elizabeth got minor fever too. And... this is the first time she fell sick. A bit worried!